Uniform, smooth surface enhances ink holdout and printability. 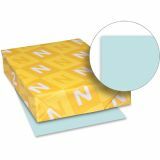 Ideal for brochures, covers, tabs, file folders and business forms. Acid-free for great quality that doesn’t deteriorate. 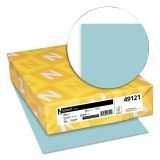 Neenah Paper Exact Index Card Stock, Smooth, 90lb, 8 1/2 x 11, Blue, 250 Sheets - Exact Index Paper offers a uniform, smooth surface that enhances ink holdout and printability. Uniform surface enhances overall printability. Durable, 90 lb. paper provides excellent bulk and meets 7 point postal requirements. 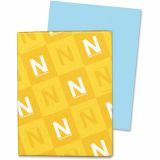 Ideal for brochures, covers, tabs, file folders and business forms. 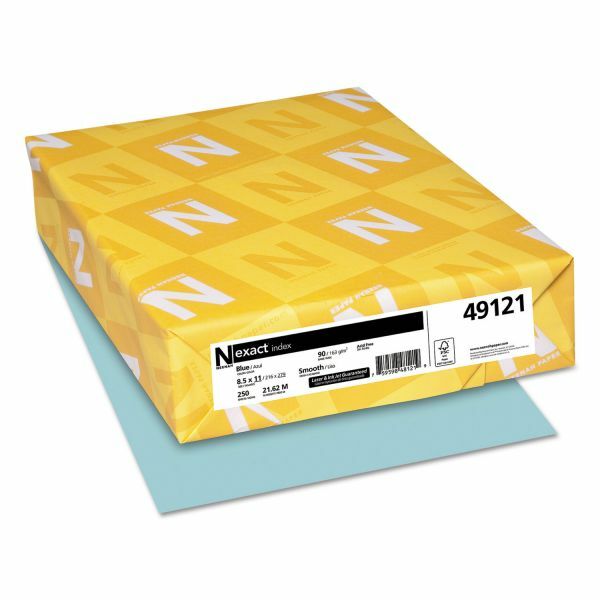 Acid-free paper is compatible with laser printers, inkjet printers, copiers and offset machines.